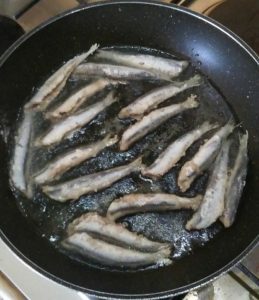 Do you love fish? Well, you’re in luck. Rome has some of the best seafood restaurants Italy has to offer. Though not exactly located on the sea (or any substantial fishing body of water for that matter), Rome still manages to provide exquisitely delicious fish dishes. Not convinced? 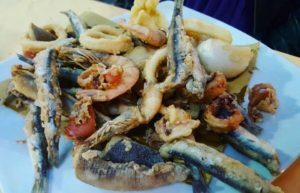 Take a look at the following list of some of the top places for seafood in Rome. Try them just once and these restaurants will make you a believer! Alberto and Enrico, otherwise known as Quinzi & Gabrieli, both originally from Amatrice, have a long history together. Longtime friends, they moved to Rome at the same time and quickly began learning all the trade secrets of the restaurant industry. They even spent time in Paris and London mastering their craft. After fine-tuning their skills, they returned to Italy where they opened a small oyster bar, which over time, became Quinzi & Gabrieli, the successful restaurant that we know today. Their philosophy is simple: manipulate exceptional basic ingredients as little as possible in a way that enhances their natural flavors. The secret? Essential and top-quality condiments, such as extra virgin olive oil from Tuscia, Mediterranean cherry tomatoes, various types of the best salts, such as pink salt from the Himalayas and Hawaiian red salt. Dishes served range from seafood, shellfish, cuttlefish, calamari to the noblest fish including sea bass and snapper. The dish preparations range from raw to pan-seared to sautéed. Not only is the food delicious, but the location delights the visual senses as well. The restaurant is located in the historic Palazzo di Boccapaduli, dating back to the 1400s. To top it off, there is a gorgeous display in plain view of all the customers of the fresh fish and the pasta dishes being cooked. 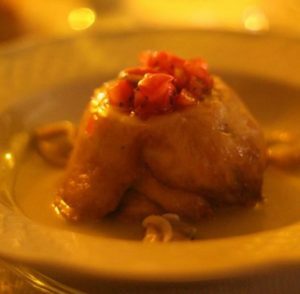 For a real treat, try the baccalà confit. Quinzi and Gabrieli’s 30 plus years of experience preparing delicious fish dishes make this restaurant a must-try for anyone visiting the Eternal City. Located inside the Waldorf Astoria Rome Cavalieri Hotel, this is a top tier restaurant, especially for the fish connoisseur. It is important to note that dining here isn’t just about you enjoying a meal, it’s about you having an experience. World-renowned chef Heinz Beck runs the show at La Pergola. Not only is he one of the most famous chefs in the world, but he is probably one of the most famous chefs in all of Italy. Your “experience” at this restaurant will not be cheap, but it will certainly be worth every penny. The restaurant has an à la carte menu, but what makes it special are its tasting menus. There are 2 tasting menu options: the 10-course menu and the 7-course menu. The tasting menus include such delicacies as kingfish on a bed of shaved strawberry ice with almond mousse and lime, codfish with celery sauce and a curry crust, and white asparagus with algae pesto and squid to name a few. The 10-course menu is 245 euro per person and the 7-course menu is 210 euro per person. A little on the pricey side, yes, but money most definitely well spent. Located on a picturesque street between Piazza di Spagna and the Trevi Fountain, Life is a seafood paradise. The main feature of Life Restaurant is its attention to every last detail when preparing its dishes. All the food is prepared with fresh and high-quality products and ingredients. Although they’re known for their fish, they have an excellent meat selection as well, selected by the best butchers in Rome. The seafood menu is prepared with the freshest fish, caught from the Tyrrhenian Sea. The restaurant has an à la carte lunch and dinner menu but also has 4 different tasting menus, 2 of which are only fish dishes. The first fish tasting menu is the Menu Astice or “Lobster Menu” which is a 4-course meal, completely lobster-based menu. The price of the Lobster Menu is 50 euro per person without wine or 70 euro per person including wine. The second fish tasting menu is the “Essenza di Mare” or “Sea Essence” menu. The Sea Essence menu is a 5-course meal of all different kinds of seafood and fish which costs 60 euro per person without wine or 88 euro per person including wine. 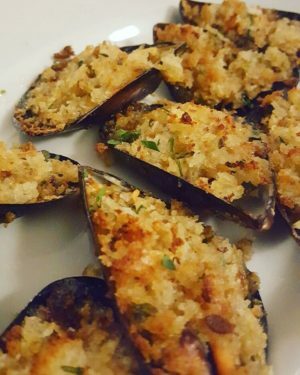 The Essenza di Mare menu is a real customer favorite. 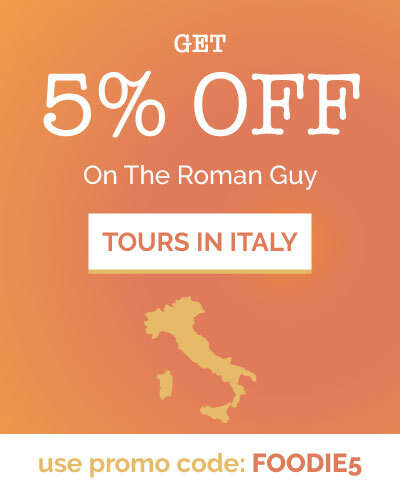 Don’t miss out on giving it a try on your next visit to Rome! Ristorante Livello 1 can be described as a journey into the flavors and scents of the sea, enjoyed in total relaxation while immersed in the comfortable and elegant surroundings of the dining area. Chef Mirko di Mattia and Felix Lo Basso create magic in the kitchen here. Dishes range from creative appetizers such as squidfish with eggplant and smoked provola cheese and basil gelée, to great classic fish dishes such as homemade lobster tagliolini or freshly caught fish prepared a traditional way to enhance its flavor and freshness. Livello 1 boasts a kitchen of different and unique flavors, accompanied by homemade breads and desserts, and wines and bubbly selected by master sommeliers. What sets this restaurant apart from the crowd is not only their creative and delicious fish dishes but also the fact that there is a separate fish market annex in the building next door that is part of the restaurant. The annex is where they select and keep the freshest fish possible to create their cuisine. Their own independent fish market? It doesn’t get much fresher quality than this! Cantieri Marconi not only has yummy seafood dishes, but its location is a former shipyard that has been renovated. The ambience of the location is accented by the fact that it is on the Tiber riverfront in Rome in the Ostiense district. Sara De Bellis and Fabio Pugliese are the gastronomic food directors aboard this ship, offering dishes with English, Arab, American, Spanish and South American influences mixed in. The chefs at Cantieri Marconi are constantly whipping up creative and innovative takes on seafood without losing sight of classic Italian food traditions. In short, you can find amazingly inventive and delicious seafood dishes here without doing too much damage to your pocketbook! It’s a win-win! 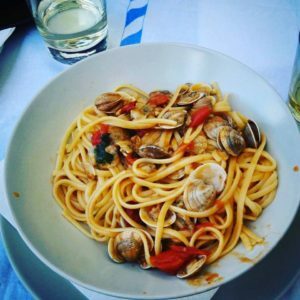 Tucked away in the quieter side of Trastevere, I can proudly say that Le Mani in Pasta wins The Roman Foodie prize for serving the best fish dishes in all of Rome. Not just that, but the staff here are great too! As soon as you walk into this intimate little restaurant, you are greeted with a smile (sometimes even a hug) and shown to your table with a complimentary glass of prosecco. Make sure you ask for the specials for the day, they differ depending on what fresh seafood has been caught recently. From sea urchins, to baked swordfish, to an array of fish pastas, if it’s fish you’re in the mood for, you can guarantee Le Mani in Pasta will hit the spot. Finally, as well as mentioning their awesome staff and delicious fish, their wine list is also very reasonable. Bottles of their local whites start at around €12 and these have each been tasted and hand picked by the owner. The waiters are also happy to recommend a good wine to accompany your meal, and you can trust them to not rip you off. So, drink up! TOP TIP: You must make a reservation for this place at least 4 days in advance and we recommend you choose to sit upstairs. All lovers of seafood are guaranteed a delicious experience at any one of these restaurants. The only difficulty you’ll have is choosing which restaurant and what to order once you’re there… there are just too many good choices! If you plan it right, you could eat at least once at each of these places during your next vacation. I recommend doing this so you don’t miss out on any of the seafood treasures Rome has to offer. Happy eating! 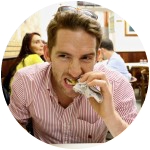 If you’re coming to Rome and want to enjoy some of its typical, delicious cuisine, join our Trastevere “Locals” Food Tour!